Is your car making a grinding noise? Are you uncertain about what is causing it? Here are some simple steps that even someone with little or no automotive experience can follow in order to diagnose the problem. Once you figure out what is causing the problem, you can be better informed and feel more confident when you take it to an automotive specialist for repair. If you are looking for an honest and reliable mechanic, contact Hansma Automotive. "Great people! 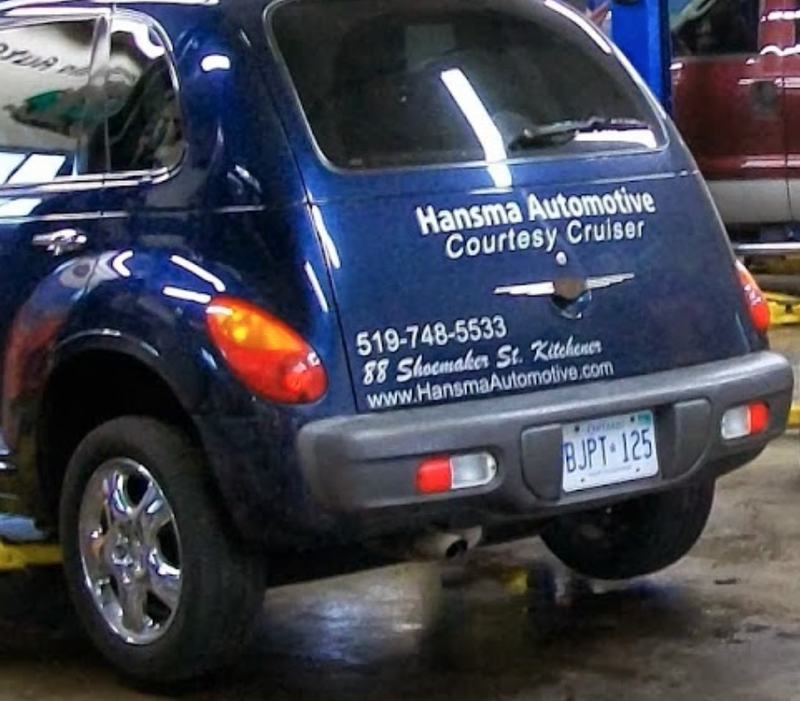 Hansma Automotive have been taking care of my vehicles for four years now. They are friendly and professional, and will take the time to talk cars, even if you don't have an immediate problem for them to fix. They have given good counsel when I have pondered whether to make one more repair or buy another vehicle. They are very well respected in the community." It is important to determine the cause of the grinding noise. Follow these simple steps to try and determine the source. Once you start your vehicle, listen to see if the grinding sound starts right away or if it begins any time while the engine is running. If you don't hear the grinding, then go to Step 5. If you hear the grinding the go to Step 2. You need to figure out where in the engine the grinding noise is coming from. If you are not familiar with the different parts of your engine, then look at your owner's manual or look online for a diagram of the parts of your engine to help you recognize the alternator, water pump, and power steering pump. The following video will let you hear what a grinding noise from an alternator will sound like. Once you know what each of these parts looks like, listen to each one to see if the noise is coming from it. According to ItStillRuns.com, a great trick for listening to each separate part is to take a piece of a rubber hose and place one end on the alternator and hold the other end up to your ear. The hose will help you to determine if the problem is with the alternator. If you hear the sound coming from the alternator then it will likely need to be repaired or replaced. If the grinding noise was not coming from the alternator then repeat Step 3 but this time listen to the water pump and the power steering pump. If the grinding noise comes from either of these parts, then they may need to be repaired or replaced. The picture below shows a power steering fluid reservoir and pulley driven pump on a Jeep 2.5. While you are driving, gently touch the brakes. If you hear the grinding sound, try braking a little harder. If the sound gets worse, then you may have worn brake pads. Stop the vehicle and take a look at your brake pads. If you are not sure where to look, consult your owner's manual. If the pads are a quarter of an inch thick or less, then they probably need replaced. The following video will let you hear what a grinding noise coming from the brakes sounds like. Start driving your vehicle and make a right-hand turn and then make a left-hand turn. If the grinding noise gets worse when you turn in one direction and then gets better when you turn the opposite direction, then the problem is most likely a wheel bearing. Wheel bearings are vitally important to your safety and should not be ignored. Make sure you take your vehicle to a reliable mechanic as soon as possible to get it repaired. The following video will give you an idea of what a wearing wheel bearing sounds like. If you hear a grinding noise while your car is changing gears, then the clutch could be getting worn or it may need to be adjusted. It also could mean that there is a problem with your transmission. Don't take chances with either of these issues. If you suspect that it is your clutch or transmission, then you need to have these checked out by a professional. You can trust Hansma to solve your car's grinding noise problem and to fix it quickly and at a reasonable cost. The friendly staff at Hansma pride themselves in providing their customers with the best possible service. We are proud to live and serve the Kitchener-Waterloo community and over our more than 30 years in business, we have earned a reputation for hard work, honesty, and integrity. Contact us today and find out for yourself what sets Hansma apart from our competition. Posted on December 2, 2017 by Hansma Marketing and tagged Car making grinding noise.